PRICE REDUCTION *** GULF VIEW HOME WITH EASY ACCESS TO SANDDOLLAR MARINA, LA. STATE PARK, PIRATE'S COVE MARINA AND THE GREAT FISHING AREAS IN BARATARIA BAY! THE HOME HAS 3 LARGE BEDROOMS ON THE FIRST LEVEL AND 2 MORE LOFT BEDROOMS ON THE SECOND LEVEL! IT HAS 2.5 BATHS! CALL KARL FOR DETAILS TODAY ! 2438 HWY. 1 IS A BEACHFRONT CAMP IN GRAND ISLE, LA. ...BEACHFRONT...BEACHFRONT ON THE GULF OF MEXICO!..This is a rental unit with a good income history. Includes 4 bedrooms / 2.5 baths with OPEN FLOOR PLAN for kitchen/dining/living rooms. Call Karl NOW! LOT 12 SQ. M OAK ST HAS A PRICE REDUCTION ** THIS IS A CORNER LOT! Lot 12 is the last lot on the right side of Oak St. before Louisiana Ave and the Port of Grand Isle boat basin. 167 Peach Ln. is a vacant lot needing a Corps of Engineer Wetland Determination prior to fill and construction. THRE IS A NEW PRICE ON THIS LOT TO AID WITH EXPENSES...CALL KARL NOW. 189 Cherry Ln. (Lot 9, Sq K' Grand Beach #6 is a vacant lot.) A Corps of Engineers Wetland Determination will be needed prior to fill and construction. THE PRICE HAS NOW BEEN LOWERED TO ASSIST WITH PERMIT FEES. CALL KARL FOR MORE INFORMATION. 160 ORANGE LN. IS ONLY ONE BLOCK FROM THE BEACH ON THE GULF OF MEXICO. NEW PRICE *** CALL KARL TODAY...INCOME PRODUCER...CURRENT RENTAL CONTRACT IS TRANSFERABLE...$2,000/ MONTH. THIS HOME HAS THREE BEDROOMS / 2 BATHS, A LARGE LIVING ROOM-DINING ROOM - KITCHEN COMBO. This one is furnished with good furniture and appliances. THIS IS A GREAT LOCATION FOR A TARPON RODEO GET AWAY CAMP...CALL KARL FOR A SHOWING TODAY. 173 LANDRY LN. IS LOCATED ONLY ONE BLOCK FROM THE BEACH AT GRAND ISLE. TURN AT LANDRY LN. (NEXT TO THE U S POST OFFICE) AND GO 1/2 BLOCK TO 173 LANDRY LN. THE WHITE CONCRETE BLOCK BUILDING HAS BEEN REDUCED. HOME IS CONSTRUCTED CINDER BLOCKS FILLED WITH CONCRETE AND RE-BAR. THE HOME WAS BUILT IN 1957 TO RESIST HURRICANE WINDS. IT IS LOCATED ALONG THE HIGH RIDGE IN THE INTERIOR OF GRAND ISLE AND PROTECTED BY 200 YR OLD OAK TREES. THE HOME HAS A METAL ROOF AND WAS RENOVATED NOT LONG AGO. THE OVER-SIZED LOT MEASURES 88.5' ALONG LANDRY LN. WITH A DEPTH OF 187'. A SECOND ADJOINING LOT MEASURING 88' X 90'. CALL KARL TODAY! 133 PARK LN IS NEAR TO THE LA. WILDLIFE & FISHERIES LAB ON LUDWIG LN. THIS VACANT LOT IS AT THE NORTH END OF PARK LN. (NEAR THE LA. WILDLIFE & FISHERIES LAB) AND OVERLOOKS THE COASTAL ESTUARY TO THE NORTHWEST. THE LOT IS AN EXCELLENT LOCATION FOR AN R/V OR A CAMP...CALL KARL TODAY! 504-628-0101. HWY. 1 FRONTAGE LOT OVERLOOKING THE BEACH AT GRAND ISLE AND THE GULF OF MEXICO. THIS IS HIGHWAY FRONTAGE LOCATED BETWEEN THE SUREWAY GROCERY STORE AND THE CONOCO SERVICE STATION. THIS LOT HAS NEVER BEEN ON THE MARKET. THE UNIQUE LOCATION OFFERS A VIEW OF THE GULF WITH EASY ACCESS TO THE BEACH. THIS IS A COMMERCIALLY ZONED AREA. CALL KARL FOR DETAILS TODAY...504-628-0101. GRAND ISLE HIGHWAY 1 FRONTAGE LOT B IS LOCATED BETWEEN THE SUREWAY GROCERY STORE AND THE CONOCO GAS STATION. THE LOT IS IN A COMMERCIALLY ZONED AREA OF GRAND ISLE. NEW PRICE ON THIS CONDO!!! $260K...WITH A MOTIVATED SELLER! #94 PIRATE'S COVE LANDING IS LOCATED VERY NEAR TO SOME OF THE FINEST SPECKLED TROUT AND REDFISH FISHING IN THE GULF OF MEXICO. THIS PROPERTY ALLOWS THE OWNER TO EASILY FISH THE INTERNATIONAL GRAND ISLE TARPON RODEO AS WELL AS OTHER GRAND ISLE TOURNAMENTS WITH EASE. JUST LOWER THE BOAT FROM THE HOIST AND LET'S GO FISHING! This is one of the units in the TALL metal boat house in Pirate's Cove Landing. It is a 3 bedroom / 2.5 bath condo with a boat lift, 1/2 bath and storage on the first level. The second level includes the living room / dining room / kitchen and the master bedroom (with bath). The third level includes a loft sleeping area suitable for four, a bedroom and a full bathroom. There is a pool for the private use of the owners at Pirate's Cove Landing. The camp is fully furnished and ready to go...Call Karl to see this one today at 504-628-0101. 2585 HWY. 1 IS A GREAT VIEW OF THE GULF OF MEXICO. IT IS A CORNER LOT ON HWY 1 AND APRICOT LN. THERE IS NEW BLACKTOP ON APRICOT LN.! THERE IS AN EASY ACCESS TO THE BEACH AND GULF OF MEXICO. THE LOCATION IS SUITED FOR A NEW CAMP OR A COMMERCIAL VENTURE AS THE LOCATION ENJOYS COMMERCIAL B-3 ZONING. CALL KARL FOR DETAILS. NEW PRICE ** AURORA LN. IN THE CENTER OF GRAND ISLE AND ONLY A BLOCK FROM THE BEACH! FOUR ADJACENT LOTS TO BE SOLD SEPARATELY OR TOGETHER...OFFERING PRICE IS $30,000 EACH. THE LOTS MEASURE 50' EACH FRONTING ON AURORA LN. THIS WOULD BE A FINE SPOT TO LOCATE 4 R/V UNITS TOGETHER IN ONE COMPOUND. CALL KARL FOR DETAILS TODAY AT 504-628-0101...ALWAYS AVAILABLE! * NEW PRICE * $280,000 * CALL TODAY! ONE OF THE BOATHOUSES IN PIRATE'S COVE LANDING....# 98! THIS ONE COMES ALL FURNISHED AND READY TO GO! THERE ARE THREE BEDROOMS, TWO FULL BATHS AND TWO HALF BATHS. THE BOAT LIFT WILL SUPPORT A 10,000 LB VESSEL. THE CAMP COMES WITH ALL FURNISHINGS INCLUDING THE FULL SIZE ICE MACHINE, BAIT TANKS, BOAT LIFT ON THE FIRST LEVEL...KITCHEN AND HALF BATH ON THE FIRST LIVING LEVEL AND THREE BEDROOMS AND TWO BATHS ON THE THIRD LEVEL. THERE IS A DECK OVERLOOKING THE BOAT BASIN AND A SECOND DECK ON THE WEST SIDE IN ORDER TO WATCH THE SUNSET. THE CAMP IS COMING COMPLETELY FURNISED...CALL KARL FOR DETAILS...504-628-0101. LOTS 28 & 32 OF GULF STREAM PARK LIE BETWEEN SUNSET LN. AND BOUDREAUX LN...BOTH BLACKTOP STREETS. THE LOT MEASURES 100' ON BOUDREAUX LN. AND 90' ON SUNSET LN. AND INCLUDE THE BOAT SHED AND PILINGS FROM AN OLD BOAT SHED ON THE PROPERTY. THE LOCATION OFFERS A VIEW OF AND EASY ACCESS TO THE GULF OF MEXICO. CALL KARL FOR DETAILS AT 504-628-0101. LOT 11-A IS A LARGE IRREGULAR SHAPED COMMERCIAL LOT IS LOCATED NEAR THE FOOT OF THE BIG GRAND ISLE BRIDGE. THIS IS A FINE LOCATION FOR A RENTAL UNIT TO BE BUILT! THE LARGE SIZED LOT INCLUDES 38' OF WATERFRONT ON A CANAL NEXT TO LA. 1. CALL KARL FOR EXACT MEASUREMENTS. THIS PROPERTY IS NOT PART OF THE CHERAMIE'S LANDING R/V PARK. CALL KARL FOR DETAILS AT 504-628-0101. ON THE BEACH AT GRAND ISLE...A 50' WIDE LOT WITH A 10' ADJOINING EASEMENT...THE LOT OWNERSHIP EXTEND ALL THE WAY TO THE WATER'S EDGE OF THE GULF OF MEXICO! This 50' lot has the building capacity for a 1,200 sq. ft. + dwelling 40' wide! IMAGINE WAKING UP EACH MORNING WITH THE SUN COMING OVER THE DUNES...OR MAYBE A THE FULL MOON RISING ...with a glass of wine and the whisper of the southeast breeze. CALL KARL NOW TO PLAN YOUR ESCAPE LOCATION...504628-0101. Nice high lot at the corner of Wisteria Ln. and Orleans Ave...with additional space fronting Hwy. 1. THE LOT VIEW OF THE GULF OF MEXICO IS EXCELLENT AND A 100' X 150' FOOTPRINT IS EXTRA LARGE! CALL ANGIE TO SHOW THIS ONE TO YOU...337-251-3000. TWO LOTS LOCATED ON THE BEACHFRONT AT THE LRVEE ON ISLAND BEACH LN. THESE ARE TWO ADJACENT BEACHFRONT LOTS AT THE WEST END OF GRAND ISLE. THESE TWO LOTS ARE COMPROMISED BY THE HURRICANE PROTECTION LEVEE AND WILL NEED SPECIAL PERMITTING FOR A DWELLING. THE LOTS EACH MEASURE 67' X 75'...ASK ANGIE FOR DETAILS! LOCATED RIGHT IN THE CENTER OF GRAND ISLE...THIS IS ONE OF THREE LOTS NEVER BEFORE OFFERED FOR SALE. THE LOCATION IS ALONG THE OAK TREE RIDGE LINE IN THE CENTER OF GRAND ISLE. THE LOT IS A CORNER LOT ON COTT LN./ MEDICAL LN/ MELON LN....VERY EASY TO LOCATE AN R/V. CALL KARL FOR DETAILS...504-628-0101. BEAUTIFUL LARGE LOT IN THE CENTER OF GRAND ISLE...ONLY ONE BLOCK FROM THE BEACH. THIS LOT HAS A STREET ON EITHER SIDE...EASY TO LOCATE AN R/V. CALL KARL FOR DETAILS...504-628-0101. AT LAST . . . If you've been searching for a new construction, two bedroom, one bath camp, central a/c, on the water, with beautiful views of the bay and the Gulf of Mexico, then your search is over!! This camp is well constructed, and boasts of highly skilled craftsmanship, from the foundation all the way to the top. The foundation is an extra thick six inch concrete slab and drive way. This gives your pilings extra stability, as well as the added stability from the cross beams extending from the front of the camp to the back of the camp. The sub-flooring of the camp has been laid at a 45 degree angle providing even more stability, as well as tie straps on the base and over the roof beams. Deck and staircase has been constructed of durable composite deckwood, and there is a sturdy cargo elevator for your convenience. They've installed the durable color coded PEX tubing water lines which are less likely than copper to corrode, and less likely than PVC to crack. The ceilings and walls have been sealed in a commercial grade two part epoxy coating to help protect your investment from moisture. This construction has been well planned, and could be yours. Call Angie at (337)251-3000 to schedule your appointment to see this one today. **Check out the new price... ON THESE LOTS** The owner has reduced the price on these two lots. Great location for an R/V site for multiple r/v's. LOCATED ONLY 1 MILE FROM THE BIG BRIDGE TO GRAND ISLE. THE LOCATION OF THESE TWO LOTS OFFERS A GREAT SUNSET VIEW OF CAMINADA BAY. ONLY A FEW YARDS FROM THE WATERFRONT, THE WATER AT THE END OF PETE'S WHARF LN. AND A FEW HUNDRED YARDS FROM THE BEACH AT THE GULF OF MEXICO. BOTH LOTS WILL BE SOLD AS ONE AND ALL MITIGATION HAS BEEN COMPLETED WITH THE CORPS OF ENGINEERS WHICH WILL ALLOW THE OWNER TO FILL IN THE LOTS AND PROVIDE TWO R/V SPOTS. THE LOT MEASURES 100' X 115'. CALL KARL FOR DETAILS NOW...504-628-0101. LOCATED ON PARK LN. IN THE MIDDLE OF GRAND ISLE NEAR THE LA. WILDLIFE & FISHERIES LAB. THE LOT MEASURES 60' X 80' AND IS A VACANT LOT WITH A NICE OAK TREE ON THE LOT. THE TOWN OF GRAND ISLE HAS A WORK BARN TO THE REAR OF THE LOT. PENDING * PENDING ** Lot D-1 is an irregular shaped lot fronting on Hwy. 1 at the corner of Apple Ln. and Orleans Ave. The lot is perfect for an R/V site. The location offers easy and direct access to the beach at Grand Isle. There are public streets on three sides and a servitude on the fourth side. The site is very visible from Hwy. 1 and is zoned B-3 allowing a business occupational license if desired. Call Karl for details or a plat of the lot. 504-628-0101. This is an undeveloped 17.664 acres along the deep water Port of Grand Isle on Bayou Rigaud. The land has never been developed, There is a blacktop road (Louisiana Ave) that enters the property from the east side. Another entrance is from Post Ln. (next to the Sureway Grocery Store). There is a large freshwater pond in the center of the property. A Corps of Engineers permit will be required to develop the waterfront. Call Karl for details and survey plat of the lot...504-628-0101. **AVAILABLE** 136 LEM LN. IS A 40' X 100' VACANT LOTS. THERE IS AN OLD CONCRETE SLAB ON LOT 6 AND LOT 5 IS COMPLETELY EMPTY. EACH LOT CARRIES ALL RIGHTS AND PRIVILIGES TO BUILD A NEW CAMP OR INSTALL AN R/V SITE. CONTACT KARL FOR DETAILS AT 504-628-0101. THE LOCATION IS APORIXIMATELY 2 MILES FROM THE BIG BRIDGE COMING ONTO GRAND ISLE. PENDING * PENDING * PENDING A WELL BUILT 3 B2DROOM / 2 BATH HOME. CONSTRUCTED ON 12' X 12' PILINGS AND TIMBERS. GREAT ELEVATION...NICE BAY VIEW. FOUR 25' X 120' LOTS. THERE IS A 12'X 12' STORAGE ROOM BELOW AND A 12'X 16' ELEVATED STORAGE BUILDING IN THE REAR YARD. GREAT SIDE YARD INCLUDES GARDEN AND OAK TREES. CENTRAL A/C WILL BE ADDED FOR SALE OF HOME. METAL HIP ROOF AND ELEVATION PROVIDES BEST INSURANCE RATES. EASY ACCESS TO THE BEACH. CALL KARL FOR DETAILS. Included are: a 2 br/2bath mobile home on one lot...and a 30' x 50' metal shop on the second lot. The location is near the foot of the Larose lift bridge on the north side of the Intra-Coastal Canal. The owner will consider 'owner financing'. Contact Karl at 504-628-0101. "READY TO BUILD 0R PARK YOUR RV, NO FILL REQUIRED AND INCLUDES WATER METER WITH 3/4 WATER LINE. FRONTS HWY.1 177' WIDE. THE DEPTH AT THE CORNER OF MINNICH LN. IS 120'. THIS IS COMMERCIALLY ZONED, WITH A CONCRETE FOUNDATION ON BOTH STREET SIDES, GREAT FOR PARKING WITH PLENTY OF ROOM LEFT FOR CONSTRUCTION ON REMAINING LOT. THERE IS ACCESS FROM BOTH STREETS. IT IS RIGHT ACROSS FROM THE BEACH WITH GREAT ACCESS AND VIEW OF THE GULF. CALL KARL FOR MORE INFORMATION." THIS LOT FRONTS HWY.1 177' WIDE. THE DEPTH AT THE CORNER OF MINNICH LN. IS 120'. THE LOT HAS A CONCRETE FOUNDATION AND IS PERFECT FOR A GREAT A CLASS A R/V SITE...THERE IS ACCESS FROM BOTH STREETS. 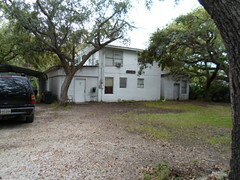 THERE IS RIGHT ACROSS FROM THE GULF AND HAS GOOD ACCESS TO THE BEACH FROM THIS LOCATION. CALL KARL FO RMORE INFORMATION. Only one mile from the bridge at the north end of Shelton Ln....this is a 60' x 88' vacant lot. The lot needs a little fill, but can become a fine spot for an R/V or a camp. The lot has a view of Caminada Bay to the north. Call Karl today for more information...504-628-0101. LANDSCAPED WITH GREAT UNIQUE BEACH HOME COMBINATION!!!!! A COMPLETELY FURNISHED HOME WITH R/V PARKING(UP TO 40'), W/30 amp. power, sewer & water & a 31' covered boat storage attached. ...163 Cemetery Ln... ONE BLOCK FROM THE GULF OF MEXICO BEACH. GOLF CARTS ARE NOW ALLOWED TO RUN ALONG THE BEACH AT THE WATER'S EDGE...BRING YOUR FISHING POLE FOR SOME GREAT BEACH FISHING AND CRABBING! The upstairs level includes a large bedroom with walk-in closet & large Jacuzzi bathtub & a separate stand-up shower, kitchen & dining/living room (with teak (expandable-liquor bar). The home has natural gas heating. There are two bedrooms, a full bath & laundry room and a garage on ground level. * All electric kitchen with garbage disposal, dishwasher, microwave, electric stove and oven. * Breakfast bar and dining room. * R/V Site with 30 Amp services. This home nestled in amongst the oak forest in the center of the high Grand Isle ridge. The land is 88'6" wide and runs from Cemetery Ln. to Landry Ln...216.24' deep...approx. 1/2 acre! There are hundred year-old oak trees which make a full canopy over the rear yard and the deck at the rear of the home. There is a 12' x 31' 6" covered boat storage carport attached to the north side of the home. THIS HOME SURVIVED HURRICANE KATRINA IN 2005 WITH NO DAMAGE! The bedrooms and walk-in closet have carpet. The remainder of the home has tile flooring. Entertaining guests is a snap in the large living room/dining room adjoining the kitchen. There are guest bedrooms below at ground level. Call Karl for an appointment to see this one today...504-628-0101. GREAT LOCATION!!!! Two bedroom / two bath home with office in third bedroom. Large living / dining room adjoins the kitchen. Two storage rooms at ground level. Finished concrete activities area below the home. Includes a great activities deck on the east side of the home. Large 72' x 110' lot adjoins a 50' street right of way to the north. Great view of Caminada Bay to the north. UNIT "D" PIRATE'S COVE MARINA CONDO & BOAT SLIP Unit D is the finest and most accommodating CONDO in the marina setting. The second living level is really fine..it boasts a kitchen/dining/living room overlooking the marina and the bay. The view from this level includes a PANORAMIC view of Bayou Rigaud / Barataria Bay- Barataria Pass / and the Gulf of Mexico. The view from the living room overlooks the marina...watch the fishing yacths bring in their catch from the privacy of your living room! THIS IS THE ENTERTAINMENT ROOM THAT IS UNMATCHED ANYWHERE IN GRAND ISLE! As a bonus, there is a fourth bedroom above the third 3rd) floor. The first (elevated) living level includes: 1. The master bedroom (overlooking the marina) with private bath. 2. Two (2) guest bedrooms. 3. A full bathroom. Below the condo on ground level, there is a two (2) car garage and storage room. Dockside parking is allowed during active occupancy of the condo. Contact Karl to view the wonderful waterfront condo...504-628-0101. 182 Plum Ln. in Grand Isle. A five (5) bedroom / two (2) bath home. All metal siding and roof! Boat storage below. Concrete driveway, boat storage & side lot space. Furnished and ready to go! Call Karl today. Large vacant lot at the corner of Humble Rd and Hwy. 1 at the east end of Grand Isle. This is a brand new lot...ready for development! The lot measures 70' x 200' and provides easy and direct access to the Gulf beach by golf cart. Not far from the Community Center and Sanddollar Marina. Call Karl for details...504-628-0101. TRACT B is located at 4009 Hwy. 1 near the corner of Humble Rd and Hwy.1. This is a large 12.000 sq. ft. lot with a beautiful view of the wetland birds at the rear of the lot. The lot offers easy and direct access to the Gulf of Mexico beach by foot or golf cart. This is one of four adjacent lots offered for the first time ever. Call Karl for details. 504-628-0101. Large 60' x 200' lot. 12,000 sq. ft. overlooks active bird wetland to the north. Easy and direct access to the Gulf of Mexico beach. One of four lots available for development. Contact Karl for details. 504-628-0101. TRACT D is one of Four vacant lots divided out of the old HUEY LONG property. These four lots are vacant and ready for new construction. The location offers a view of the coastal wetland and wildlife to the north and a view of the Gulf of Mexico beach to the south. Call Karl for details about this and the other 3 adjacent lots. 504-628-0101. 136 Bienville Ln. is a vacant lot on the east side of the street facing north. The lot measures 50' x 140' and is one block from the beach on the Gulf of Mexico. The beach is accessible by foot or golf cart. The lot will be an excellent location for a new camp or simply to use as an r/v site. No HOA or POA dues here. Contact Karl for details...504-628-0101. This is a DUPLEX. THE UPSTAIRS HAS 3/2 AND A GREAT VIEW OF THE GULF. THE DOWNSTAIRS IS A 2/2. BOTH ARE FURNISHED AND READY TO GO. PRICE IS NEGOTIABLE...CALL KARL. WATERFRONT LOT NEAR THE ELMER'S ISLAND BRIDGE! This lot forms the corner of Rush Ln. and Hwy. 1 only one block from the Elmer's Island The lot has been improved with limestone, a private boat launch and dock facilities for parking boats and vehicles at waterfront. Contact Karl for details...504-628-0101. THIS HOME HAS BEEN RENOVATED IN MAY 2018. THE RENOVATION INCLUDES NEW FLOORING & CEILING TILE AND OTHER INTERIOR WORK AND DECK IMPROVEMENTS. WITH RENOVATIONS COMPLETE AND A NEW APPRAISAL DONE, THE NEW PRICE IS NOW $155,000. THE OWNER WILL SHARE THE APPRAISAL WITH A PROSPECTIVE BUYER PRESENTING A WRITTEN OFFER. Located near the center of Grand Isle and overlooking the GULF OF MEXICO. Easy and direct access to the beach! This is a 3 br / 2 bath home...no furniture. THE REOMODEL IS NOW COMPLETE...NEW FLOORING, NEW CEILILNGS, NEW LOOK! Call Karl today...504-628-0101. New septic system. THE DECK HAS BEEN CLEANED AND IMPROVED. THE INTERIOR RENOVATION HAS BEEN COMPLETED...LATEST PHOTOS. ASK KARL FOR DETAILS...THIS ONE IS READY FOR YOU AND THE KIDS TO ENJOY THE BEACH!!! Call Karl AT 504-628-0101. This property is located near the FOOT OF THE GRAND ISLE BRIDGE. The improvements are: a double capacity R/V awning...and a Cougar R/V unit. The lot measures 50' x 150' deep. The lot includes electric, water and sewage system. Contact Karl today at 504-628-0101. 124 SHELTON LN. ONLY ONE MILE FROM THE BIG GRAND ISLE BRIDGE. THIS IS A TWO BEDROOM / ONE BATH CAMP. IT'S ALL FURNISHED AND READY FOR NEW FISHERMEN TO TAKE CONTROLS. THERE'S A DOUBLE BAY BOAT SHED BELOW AND A FISH CLEANING STATION. PLENTY OF PARKING SPACE ON THE SIDE OF THE CAMP. LET KARL FIX YOU UP WITH THIS ONE BEFORE SUMMERTIME FISHING ARRIVES...CALL 504-628-0101. 2005 Sarah Ln. A beautiful setting in the gated subdivision. No boat shed yet?...No problem, it's located very near to the back-down boat ramp makes this lot an easy access to the trout fishing grounds in Barataria Bay.